Wide: 20", High: 24", Deep: 12". 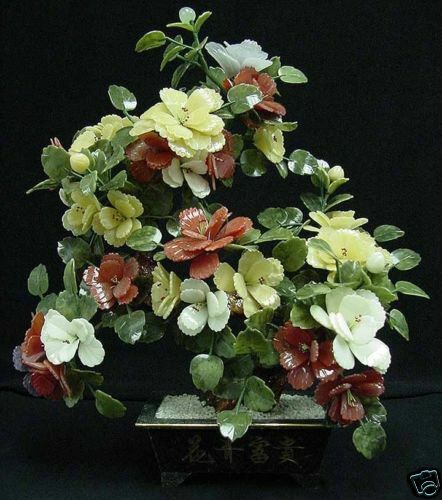 THIS BEAUTIFUL JADE FLOWER TREE IS MADE FROM THREE COLOR JADE, THERE ARE YELLOW, RED, AND WHITE COLOR. 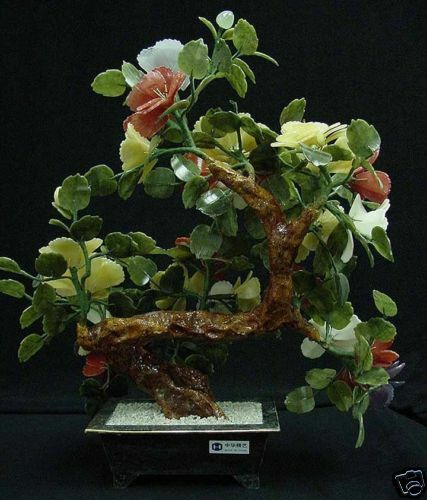 ITS LEAF IS MADE OF TAIWAN JADE. IT IS AN IDEAL DECORATION FOR YOUR LIVING ROOM, DINNING ROOM, OFFICE AND KITCHEN.